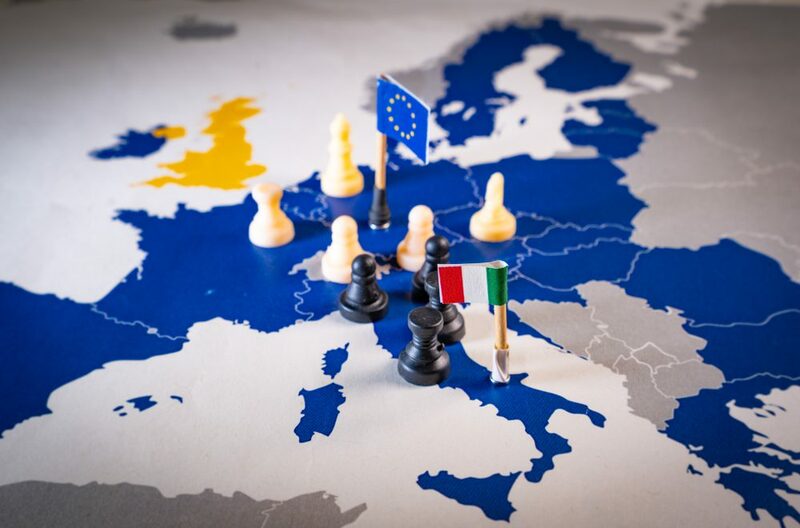 The European commissioner, Pierre Moscovici, said the door is still open for Italy to change its budget plans, but several market analysts predicted that the whole process will now drag on into next year. If Italy refuses to cut its spending plans, then it is possible it could be 0.5% of its GDP. This would not be great news and could prove something of a crisis in the coming months. There was little reaction to the news in the markets and the euro managed to make gains against sterling and the dollar. Italian bonds held onto their earlier gains which were brought about by hopes a compromise would be reached. It’s Thanksgiving today, so everyone in the US will be taking a break today, but there was a deluge of data yesterday, the majority of which was slightly disappointing. More details of that below. In the UK, public sector net borrowing came in worse than expected, as – excluding state-controlled banks – figures showed the UK borrowed £8.8 billion last month, which was £1.6 billion more than in October 2017 and the highest October borrowing for three years. In PMQs, Theresa May yet again claimed that voting down her Brexit deal could lead to the UK remaining in the EU. Jeremy Corbyn said that now ministers have confirmed leaving the EU without a deal is not an option, could May guarantee there are no circumstances in which this could happen? May responded by saying if her deal was rejected by Parliament ‘it could risk no Brexit at all’. Bizarrely, she later responded to a question from Esther McVey by saying the UK will leave on 29 March. Will this uncertainty never end? Our Brexit Planning White Paper can now be viewed online. The political and economic uncertainty that has become a symptom of the Brexit negotiations could significantly impact UK businesses. While there is no one-size-fits-all solution to protect UK businesses from the potential market volatility in the next few months, there are some things to consider when planning for Brexit. Have a read and if you have any questions, then please do not hesitate to get in touch. The schedule was fairly quiet yesterday, with only the public sector net borrowing figures for October set for release. The deficit surprisingly widened to £7.96 billion from £6.37 billion in the same month a year earlier. This was larger than the £5.35 billion gap the markets had been expecting. However, there was some good news, as Britain has borrowed a total of £26.7 billion in 2018 so far, which is £11.2 billion less than the same period in 2017. It is the lowest annual deficit at this stage of the year since 2005. Meanwhile, the Organisation for Economic Co-operation and Development (OECD) said Britain needs to forge a deal with the European Union that brings ‘the closest possible relationship’ to prevent an economic downturn. In its latest health check on the global economy, the think tank appeared to support Theresa May’s deal with the EU. While it resisted calls for a second referendum, the OECD did say a no-deal Brexit would push UK growth lower than it currently is. The schedule is quiet for the rest of the week now, with the next release due on Monday, when we will see UK finance mortgage approvals for October. However, there will likely be plenty of political news to keep us busy, especially if 48 votes of no confidence are submitted to Sir Graham Brady. The European Commission rejected Italy’s budget proposals for 2019 and said it will begin disciplinary procedures. Despite the assertion that Rome has ‘seriously violated’ debt rules, Matteo Salvini remained defiant and said that Europe must respect Italy. The head of Italy’s coalition government, prime minister Giuseppe Conte, also weighed in, insisting that his country’s ‘excellent’ budget should go ahead. He added that he hopes to persuade the EC that he has a case this weekend. With no economic data releases on the schedule for the UK or US, attention will mainly be on the eurozone, with the flash consumer confidence reading for November and European Central Bank monetary policy meeting accounts. The markets are expecting consumer confidence to worsen to -3 from -2.7 in October. Yesterday, a new report was published, in which the US Trade Representative, Robert Lighthizer, said that China hasn’t changed its ‘unfair’ and ‘unreasonable’ practices. There is a G20 meeting with world leaders later this month, so the comments will likely increase tensions in the run-up to the meeting. It is widely expected that Trump and Xi will discuss the issue, but whether a deal can be brokered looks unlikely at present. The US is currently on track to post the largest ever trade deficit with China in 2018, which would appear to rubbish claims that Trump’s policies are working. The gap was $375 billion last year, but is on course to exceed this figure before the year is out. In the first nine months of 2017, the trade deficit with China was $274.2 billion, with this year’s figure showing a deficit of $301.4 billion in the first nine months. A mass of US economic data was released on the eve of Thanksgiving, with US home sales rising by 1.4% in October to end a six-month run of declines. However, the annual rate is still lower than the same month last year. Durable goods orders dropped by a whopping 4.4% last month, which is the biggest drop since July 2017. However, this is mainly because of weaker demand for aircraft which is often a volatile factor. Initial jobless claims up to 17 November 2018 increased to 224,000 from 216,000 and higher than the 215,000 the markets had been expecting. While this is the highest figure for four months, it is still evidence of a strong job economy. Finally, the University of Michigan’s consumer sentiment index dropped to 97.5 in November from 98.6 the previous month. It is the lowest reading for three months. There are no economic data releases on the schedule today, as Americans will be celebrating Thanksgiving, but tomorrow sees the composite, manufacturing and services PMI for November. All are expected to hold steady or improve slightly.